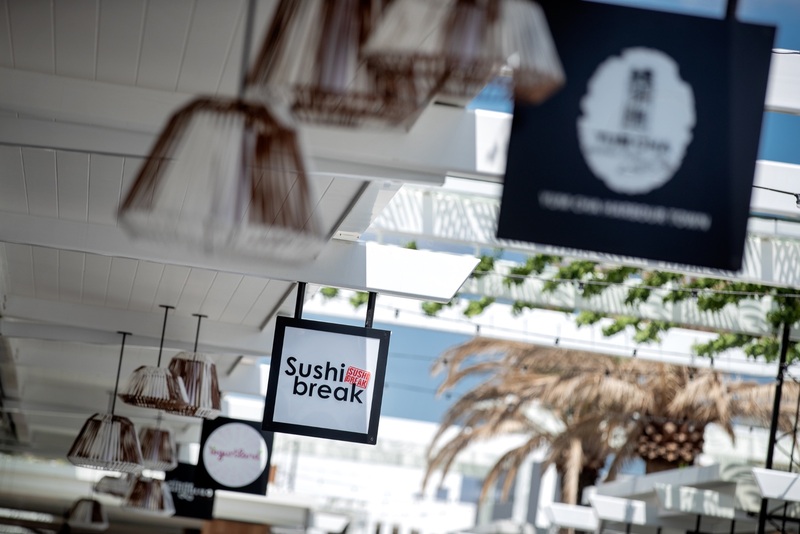 Harbour Town Outlet Shopping Centre is now home to a delicious dining destination. 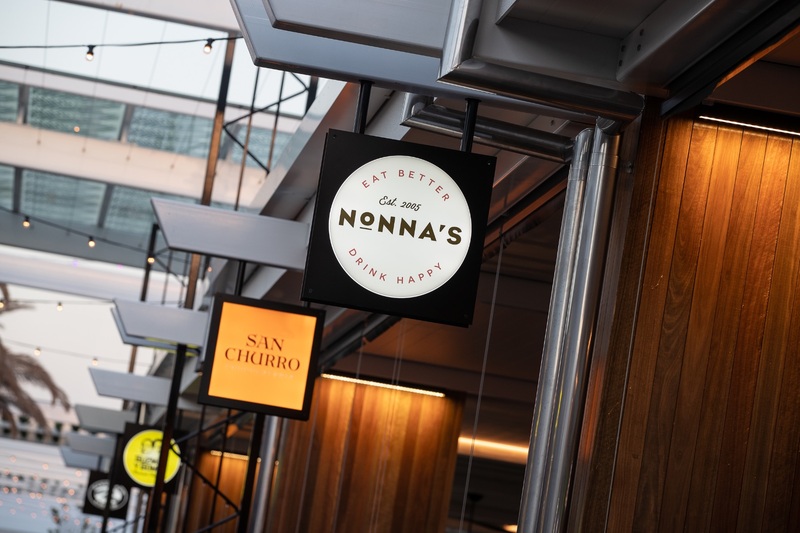 The newly renovated and extended Harbour Town Eats is NOW OPEN and serving all your long-time favourite foodies as well as new restaurants Crafty’s Sports Bar, 8 Street, Zeus Street Greek, and Sanctum, plus a new social space. 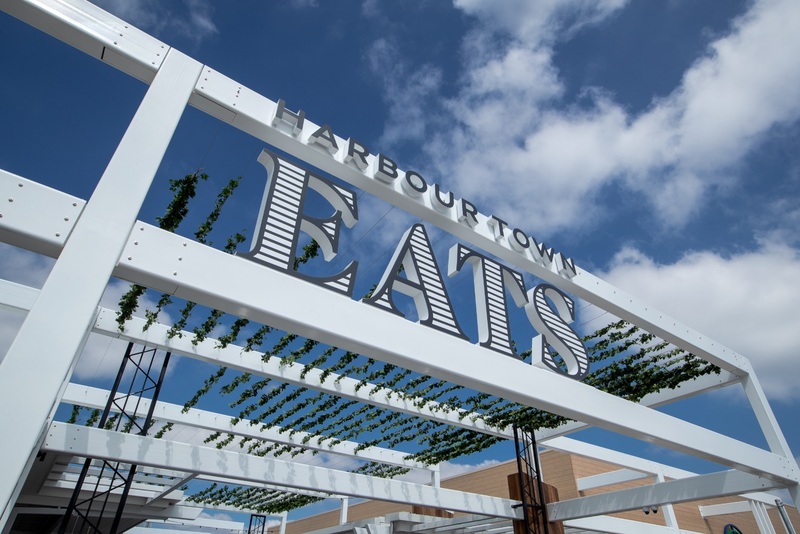 Harbour Town Eats is a stimulating destination that evokes relaxation through outdoor dining and socialising not only for Outlet shoppers, but also for locals and visitors in the area who are searching for a shared experience. From quick bites and “street food” stalls, to banquet menus, café fare and a sports bar setting new gastronomic trends, Harbour Town Eats has something to please all palates as well as the purse strings. 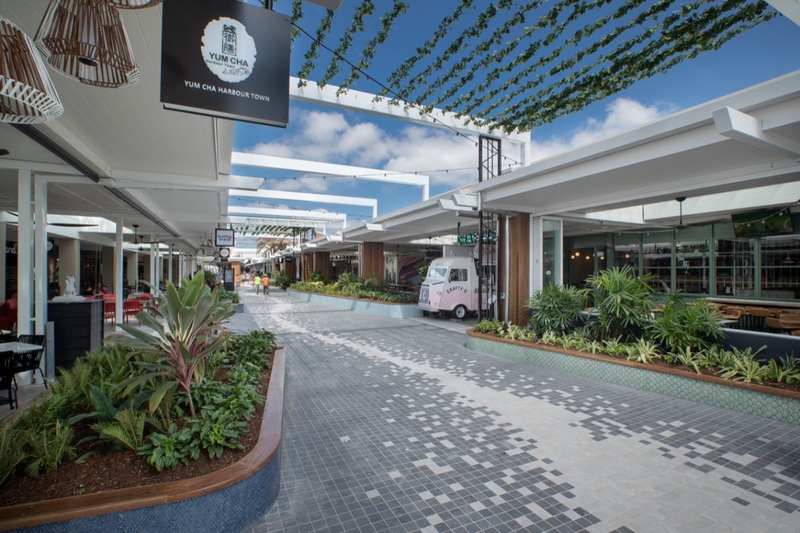 The open-air plaza area is the perfect meeting point for a pre-movie mingle, with the Gold Coast’s most affordable big-screen complex, Readings Cinema, showing the latest blockbusters from just $10 every day. So if you’re craving food, company, social interaction, or a respite from retail therapy, Harbour Town Eats is the place to unwind and take it all in. Open 7 days-a-week from breakfast until late every night! Harbour Town Eats – 21 eateries, a fresh dining experience. Crafty’s Sports Bar knows how to have fun on and off the field! The all-day family friendly venue is redefining sports bars with DJs, food trucks, games of skill, mouth-watering food (the fried chicken is a must! ), bottomless cocktails and 12 taps with rotating craft beers. Zeus Street Greek offers a contemporary and relaxed dining environment with fresh and flavoursome Greek inspired dishes that are perfect to grab and go or relax and enjoy. Sanctum is all about produce driven dining with added neighbourhood charm. Their menu presents an assortment of affordable gourmet breakfast options, a flavour-packed lunch and dinner menu, with a beverage selection that proudly offers the finest in artisan coffee. Sanctum is also home to a “Fish and Chippery” window. 8 Street is a hawker-style marketplace of authentic Asian cuisine combined with a beer garden. The laneway of delicacies has been designed with traditional Asian architecture in mind featuring stalls that allow you to see your food being made to order, and served as compact take-away fare with dine-in options also available. All your long-time favourite restaurants and Reading Cinemas are still here and they have a fresh new look. So make plans to meet your friends for a burger, burrito, coffee or pizza and enjoy Harbour Town Eats’ new social space!